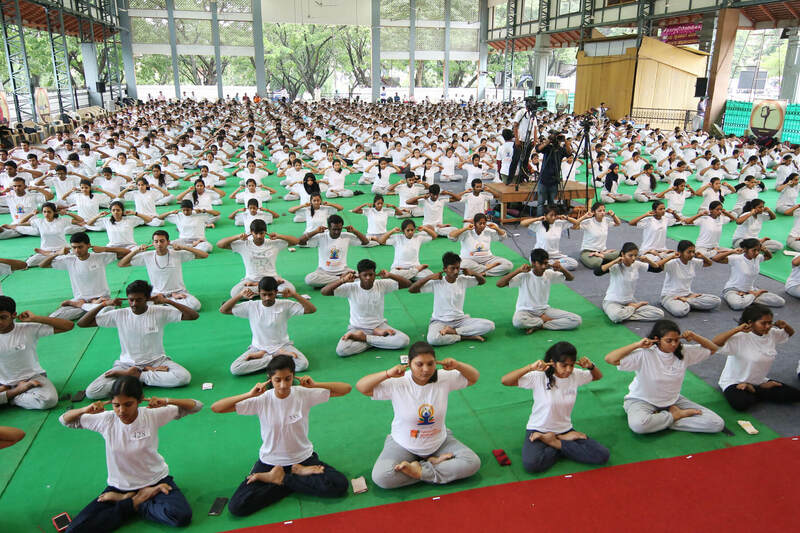 “Transcending the boundaries of cast, creed, religion and language, Yoga has emerged as a universal knowledge with therapeutic values. 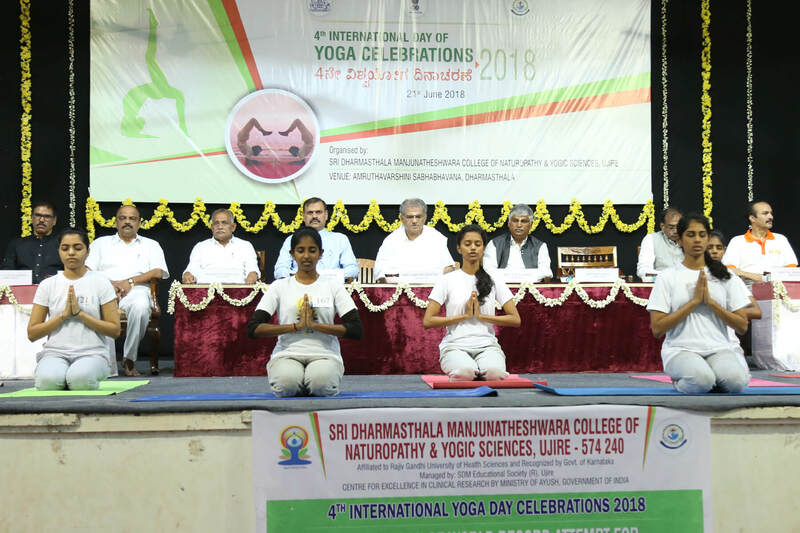 In order to maintain the physical and mental health regular practice of Yoga is important.”, said Sri C S Puttaraju, Minister for Minor Irrigation, Govt of Karnataka. 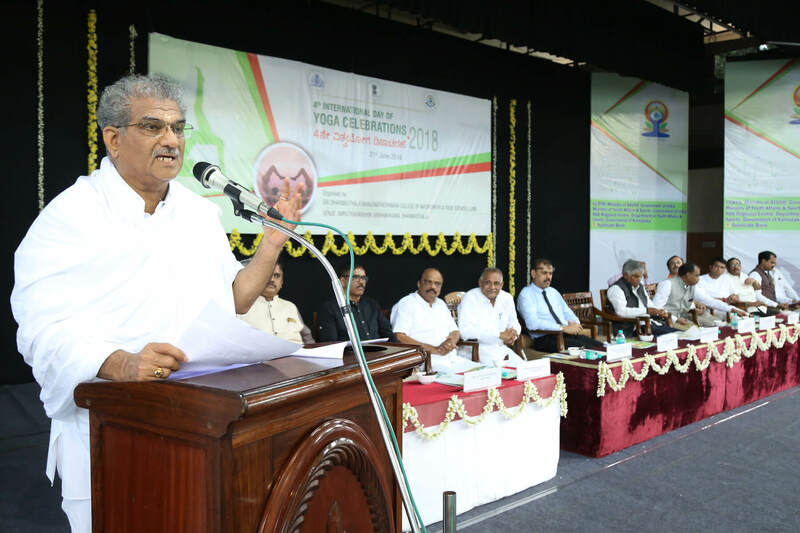 He was speaking to the audience on the occasion of the Fourth World Yoga Day Celebrated at Dharmasthala. Sri Harish Poonja, MLA, Belthangady, Smt Hemavathi V Heggade, Sri K Abhayachandra Jain, Dr. Prashanth Shetty, Sri.Seetharama Tholpadithaya, Dr.Ramesh, Dr.Vasanth Shetty and others were present.